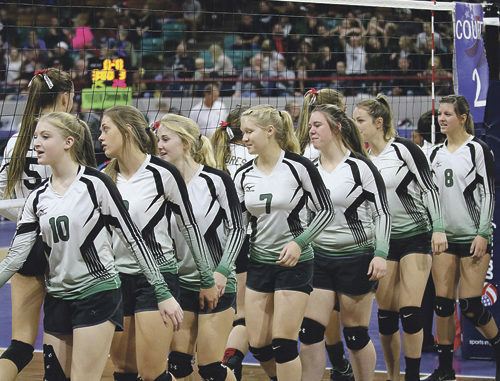 RANGELY | The lady Panther volleyball team, ended its season with a 22-5 record, a regional championship title and a win in its final match in the Big Show, the 2017 Colorado State Volleyball Championships, where all five classifications play on the floor of the Denver Coliseum. 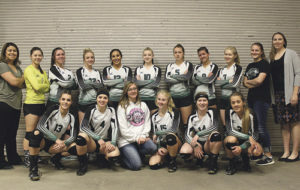 The Panthers showed mental toughness all season, winning 11 league matches, finishing second in the district tournament, then won a regional title and advance to the Big Show for the first time in seven years. 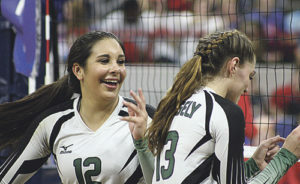 “Being regional champs was an amazing experience for the ladies,” coach Cox said. 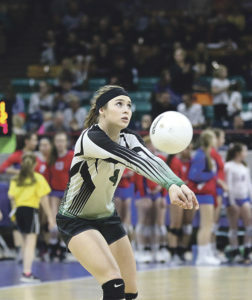 “Beating Telluride in three, gave them the confidence they needed when facing Dolores. Beating Dolores in five, tested our mental toughness and we showed we had it. 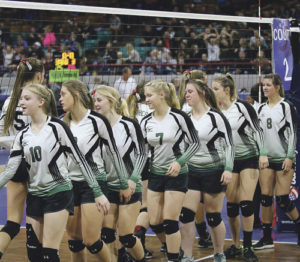 Rangely would play the Yuma Indians in the first round of 2A state tournament and lost in three games, to the No. 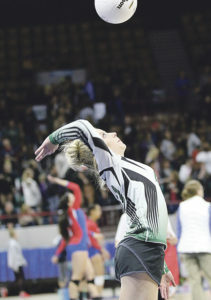 1 ranked two, who went on to finish second to Lyons this year. 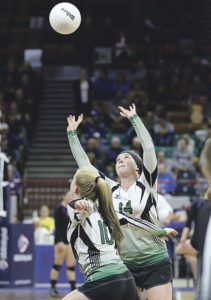 “We came out excited but nervous,” coach Cox said. 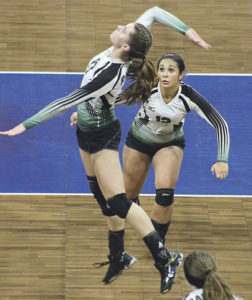 Rangely senior Sarah Connor led the team with five kills, classmate Klaire Denny had three and senior Katelyn Brown had 15 digs for the team. 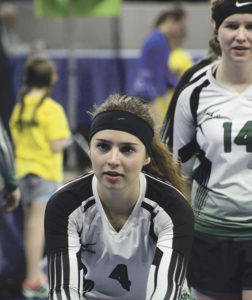 Senior Halie Elam and junior Skylar Thacker each added seven digs, against Yuma. Rangely would play Dolores in the final match of their pool, where they beat the Bears and ended their season on a winning note. 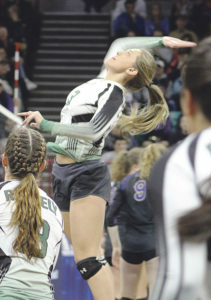 Connor again led the team with 19 kills, Brown had 10 and Denny added seven, while junior Marlena Miller finished with six. Coach Cox said Kassidee Brown “continued to move the ball around to all of her hitters,” while Thacker “dug the ball” 34 times and Elam had 17. 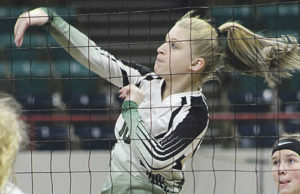 Katelyn Brown had 25 digs in the final match and her sister finished with 21. 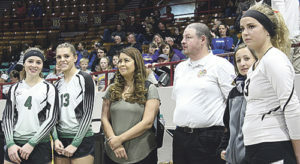 Coach Cox was thankful to all the parents and fans making the trip to Denver to cheer on the team and she is excited about the future of the program.